By: Jeanette Windle with Mrs. Pat Govender. 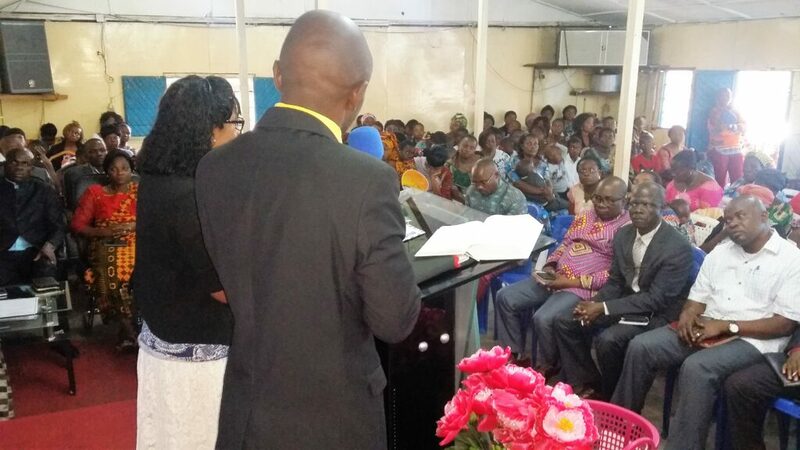 When BCM missionaries Pat Govender and Dr. Djawotho Kisa arrived in eastern Democratic Republic of Congo in 2014 to hold training seminars for children’s ministry leaders, one constant plea they received was to please come back so other churches could receive training as well. (see BCM World, Spring, 2014, “Please Come Back, and We Are Waiting!”) That same year, the Église du Christ au Congo (ECC), or Church of Christ in the Congo, an association of more than sixty evangelical denominations, signed a partnership agreement for BCM to help train children’s ministry leaders throughout the DRC. With twenty-five million members under leadership of Bishop Dr. Marini Bodho, CCC is currently ranked one of the largest Protestant associations in the world. But three years passed before Pat Govender was able to keep that promise. Based in South Africa, Pat Govender is coordinator of BCM Africa’s children’s ministry leadership program and a Master Trainer for In Step with the Master Teacher (ISMT), BCM’s teacher training program. 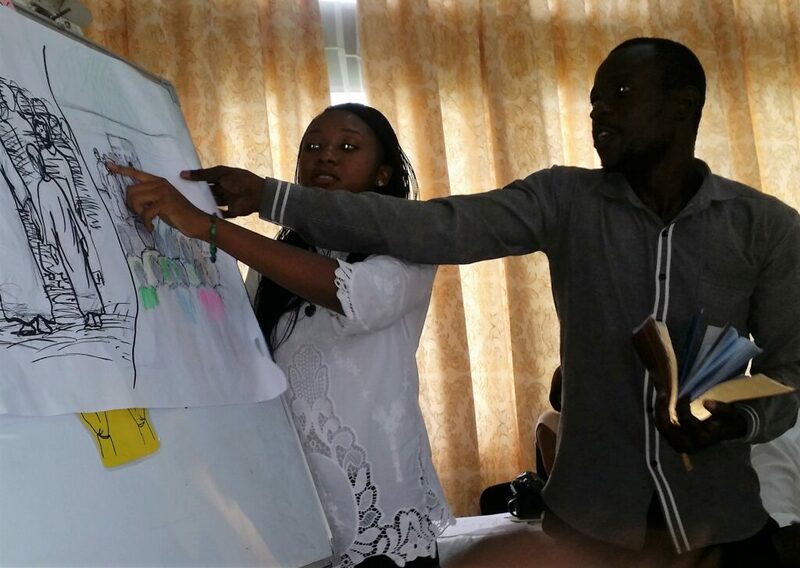 In conjunction with CCC leadership, she finalized plans with Dr. Kisa and ISMT trainer Pat Black, both based in the USA, to hold training programs in three regions of the DRC—the western capital of Kinshasa, Bunia on DRC’s eastern border, where Pat and Dr. Kisa had taught in 2014, and Goma, a city of a million on Lake Kivu near the Rwandan border. 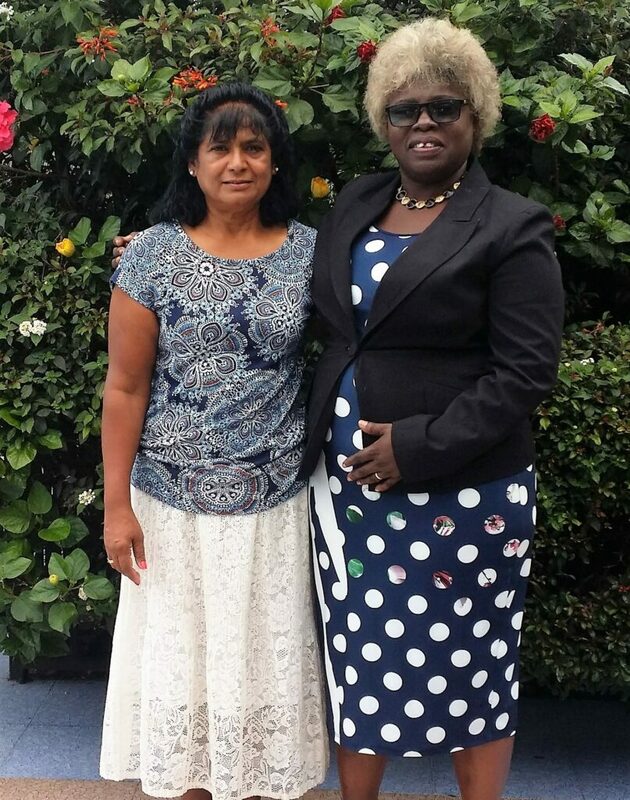 Pat Govender arrived in the DRC capital of Kinshasa on April 15th, where she met up with translator Mado Mfumunguya, who would be translating Pat’s English to French. That is when the adventure started. Her two colleagues from North America had not arrived, and Pat learned that their visas had been delayed. Pat would just have to start without them. The first group proved excited about reaching and discipling children more effectively. But by week’s end, Pat learned that Team USA was not going to make it at all, due to further delays on their visas. To compound that bad news, Pat was informed that the training in Bunia, scheduled for the second week, had been cancelled. Now any opportunity of visiting with the leaders they’d trained three years before was gone. With the DRC’s ongoing political upheaval and armed rebel groups, neither ECC nor BCM leadership were enthusiastic either about Pat traveling almost three thousand kilometers across the DRC to Goma on her own. Faced with this dilemma, Pat began to pray as transcontinental emails flew back and forth, debating what would be the wisest decision. Meanwhile Pat didn’t remain idle for the extra week she now had to spend in Kinshasa. Pat’s translator Mado is also the secretary of another top ECC leader, Bishop Nyamuke, who arranged for fifty-five Sunday school teachers from eighteen denominations to attend a training the second week. Mado and Pat also met with the pastor and children’s ministry leader of an area Baptist church to share that they would be available to hold a training three evenings of the following week. The response was emotional. Eleven leaders from that church showed up each evening. Mado and another Christian leader, Anastasia, who’d taken the training during the previous week, helped teach some of the sessions. By the end of two weeks teaching solo, Pat was exhausted. But good news had arrived from Goma. Two Lake Kivu area ministry leaders, Pastor Thomas Kamana and Rev. Samuel Mayele, whom Pat had worked with elsewhere, had offered to help her carry out the training in Goma, one even volunteering to travel across into Rwanda so that Pat could fly directly back to South Africa from the Rwandan capital of Kigali. Modo had already volunteered to accompany Pat as translator. This confirmed Pat’s decision to continue on to Goma and finish the task for which she’d traveled to the DRC. Pat and Mado arrived in Goma on May 1st. 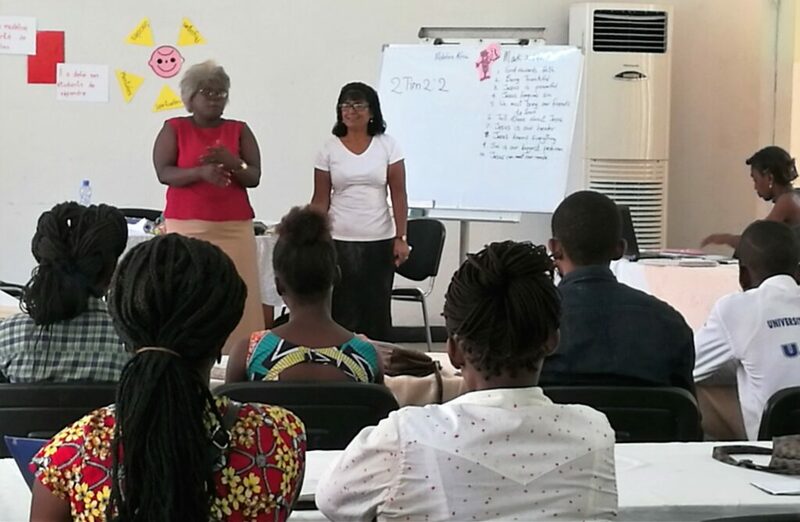 The training conference was sponsored through Heal Africa, a Christian organization that maintains one of the DRC’s finest hospitals in Goma as well as working in community health, education, and enterprise. There were occasional glitches, and Pat was battling exhaustion and poor health. But Pastor Thomas and Rev. Samuel pitched in with organization and helping lead devotions, games and other activities. And indeed by week’s end, sixty-two had received their certificates as full-fledged trainers, now able to replicate the ISMT program in their own churches. Pat is now praying for opportunity to return to DRC and follow up with the trainees, including the original Bunia area group. Meanwhile she asks for prayer for the many new trainers she left behind.